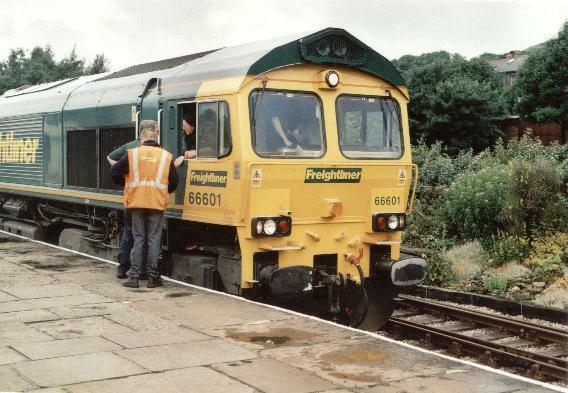 66601 on the sub-classes first ever passenger duty! The loco stands at Rawtenstall having arrived from Bury. 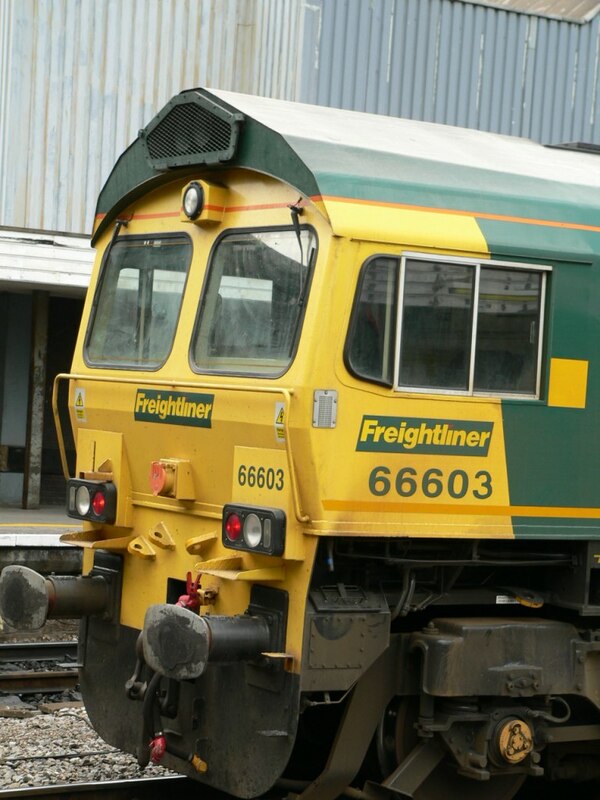 Class 66, 66 604 is pulled outside the workshop from where it was built for the first time ever. It is built at the GM plant in London, Ontario Canada and was propelled to the line of engines awaiting completion at General Motor's prior to being shipped to the United Kingdom. 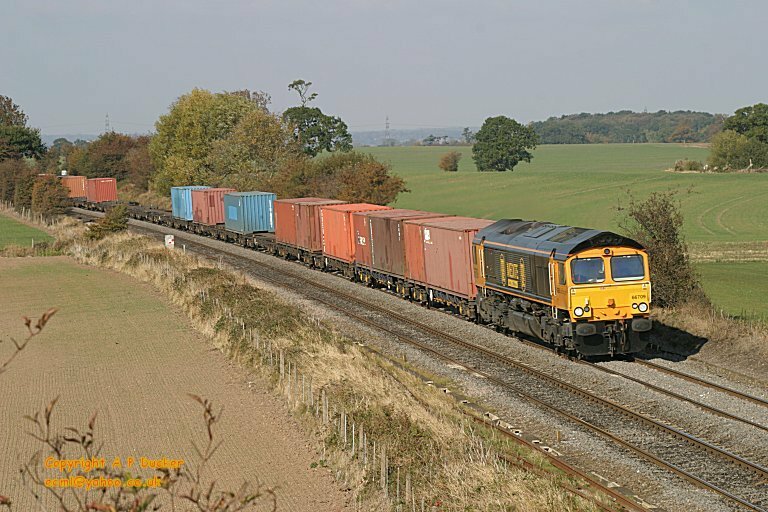 Freightliner 66612 at Barnetby on 20/09/05. 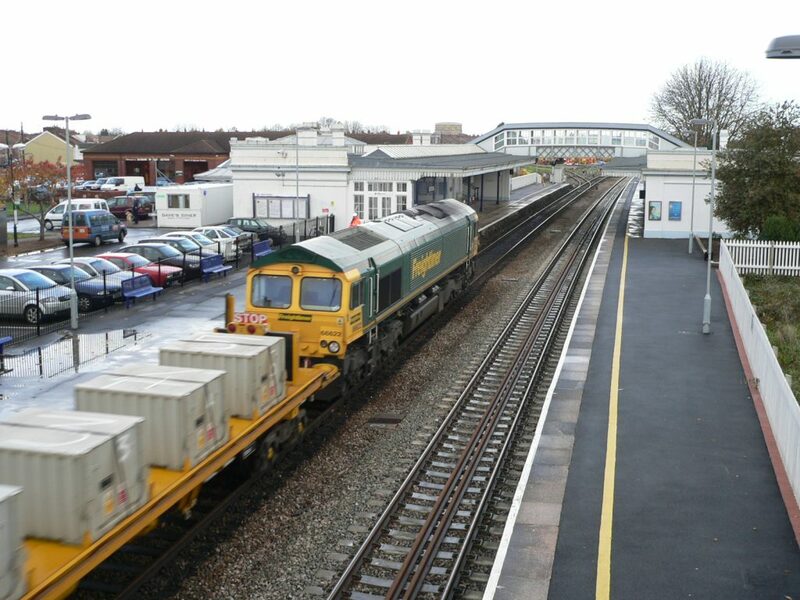 Network Rail's rail replacement train, consisting of 28 YXA wagons carrying around 3000 sleepers and 5 track replacement vehicles is hauled through Bridgwater station by Freightliner Class 66/6 locomotive 66622 en route to the worksite between Uphill Junction and Worle Junction in Weston-super-Mare. 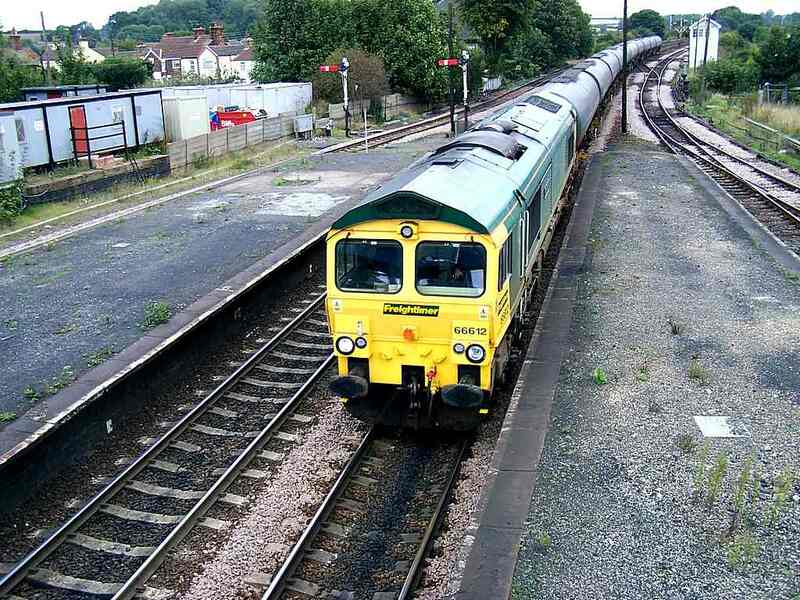 This was the last train to run through Bridgwater station before the line here was also closed for an engineering possesion. Photo by Chris McKenna 20/11/2006. 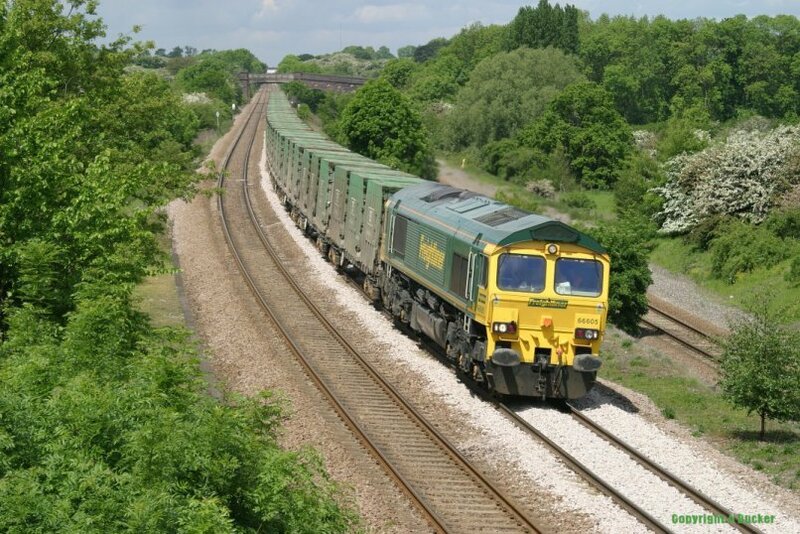 Freightliner Class 66 powers the Bin Liner south through Souldrop, north of Bedford. 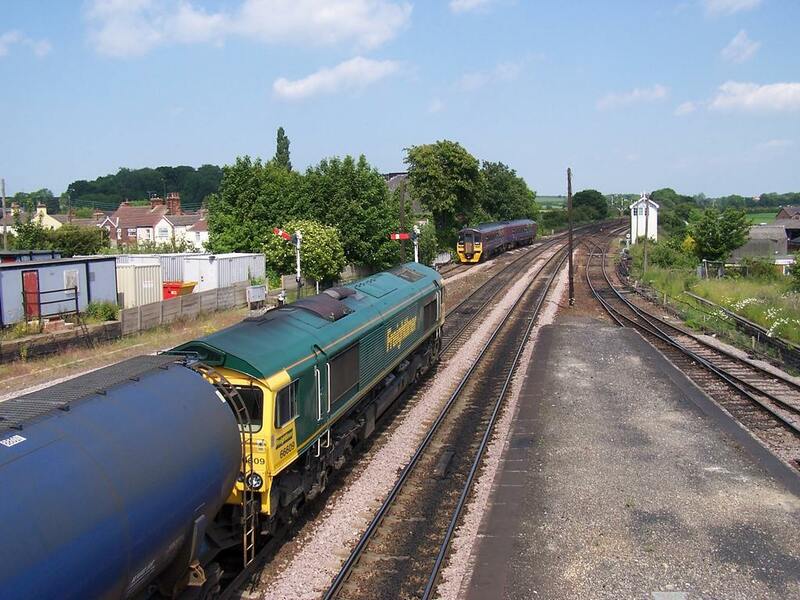 This working normally works south over the adjacent feright line, but due to other traffic it was routed over the down fast on 25 May 2004. This picture more than compensated for the non appearance of the Meridian/Voyager we had been hunting that day. 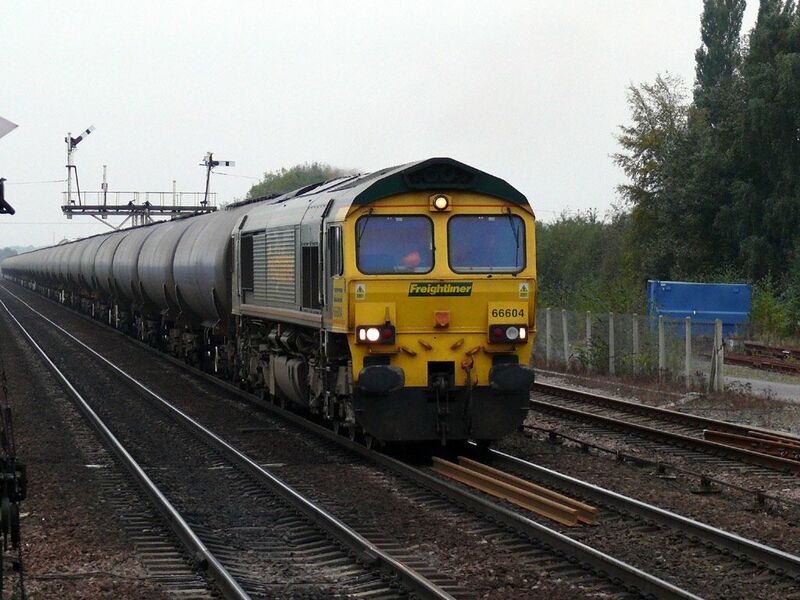 Copyright belongs to Andy Ducker who can be contacted at ecml@yahoo.co.uk. Photographs taken on Canon EOS10D. 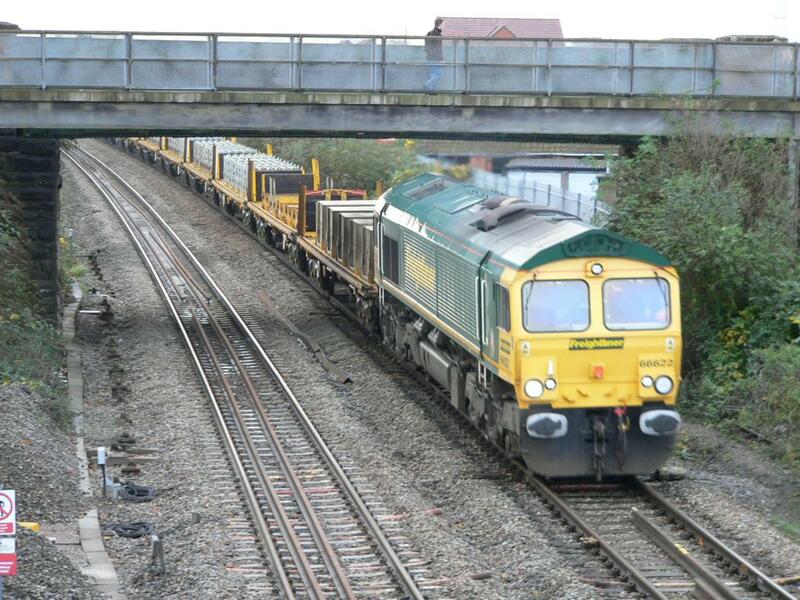 Class 66/7 seeing passing Portway. This locomotive along with others are dedicated locomotives to this freight flow, its still nice to know that you can experiment with different shots and get it again another day! 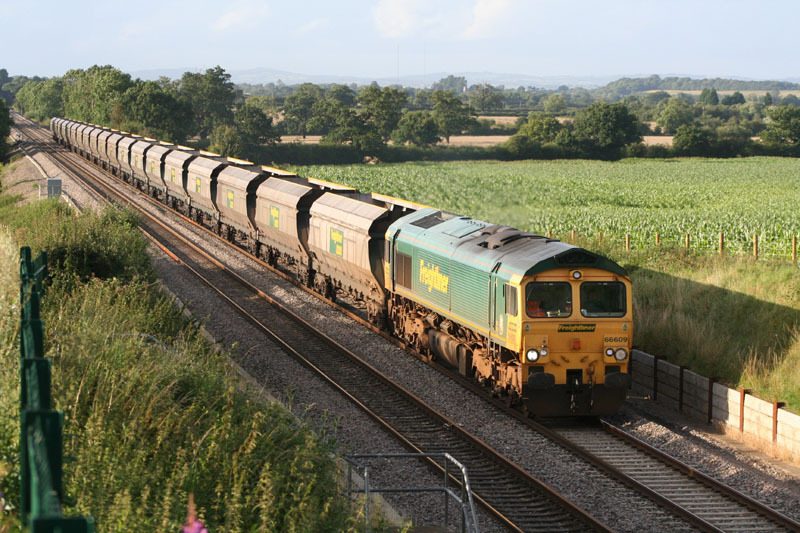 Copyright belongs to Andy Ducker, photograph taken on Canon EOS10D, capturing in RAW format. 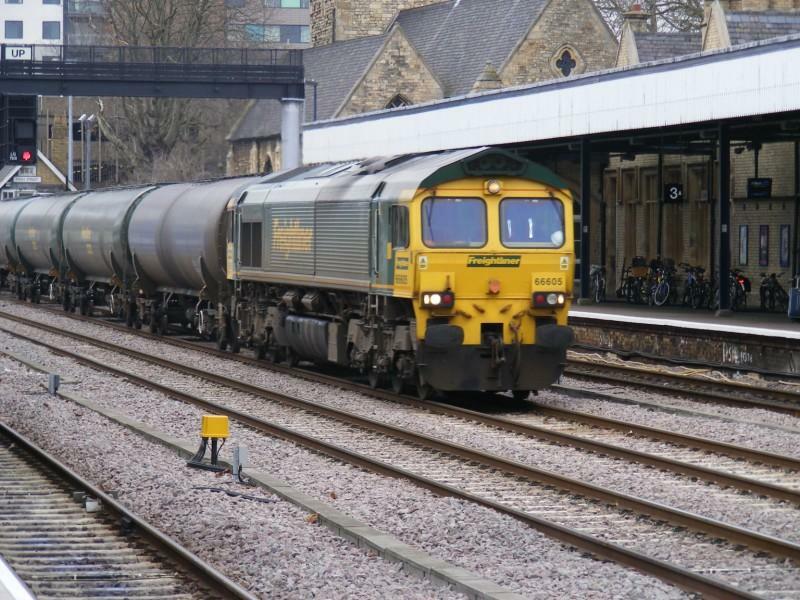 Email address ecml@yahoo.co.uk. 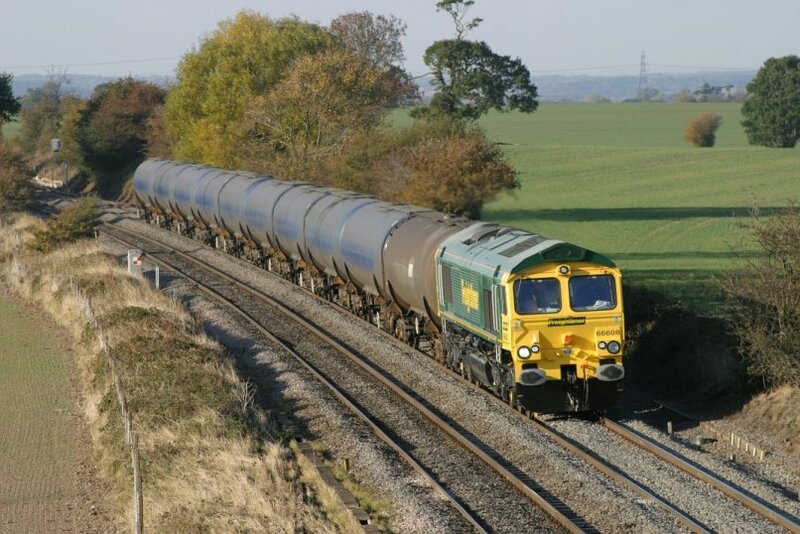 Seen at Portway April 2004, heading towards Tamworth on Oil Tanks. 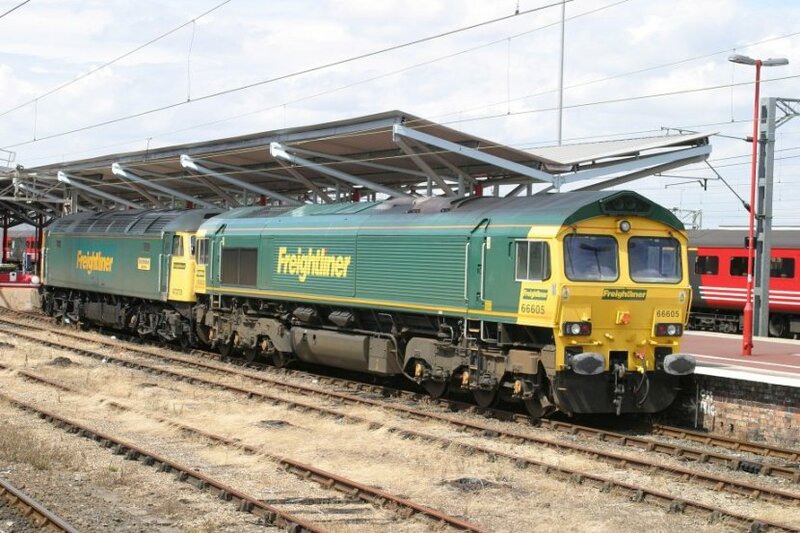 Freightliner locomotves seen at Rugby 21 July 2003. 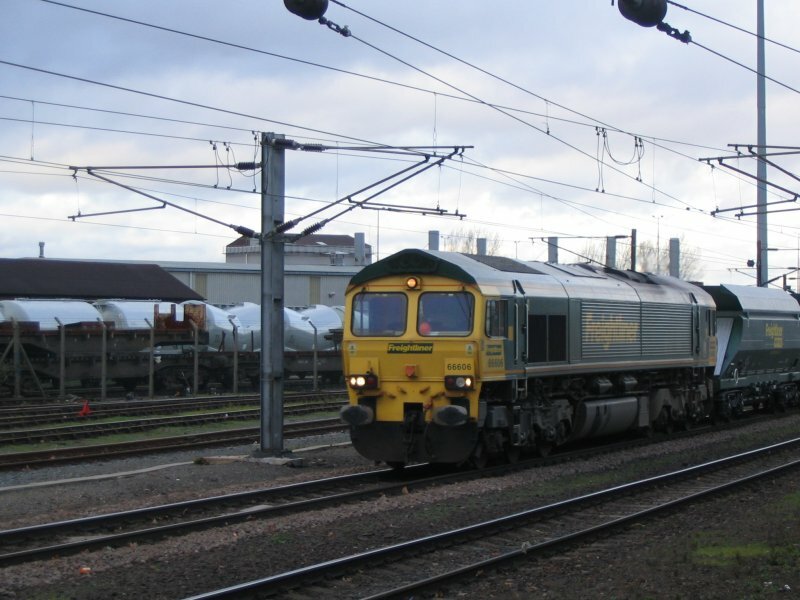 Copyright belongs to Andy Ducker who can be contacted via email at ecml@yahoo.co.uk. All photographs taken using Canon EOS 10D DSLR, initial registeration as RAW converted to JPEG format. 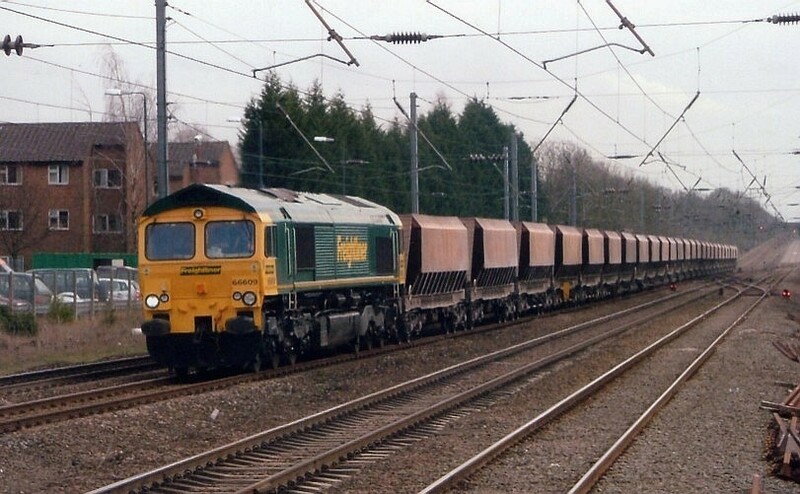 Freightliner Heavy Haul's 66609 approaches Harpenden with an aggregates train on the 23rd March 2005. 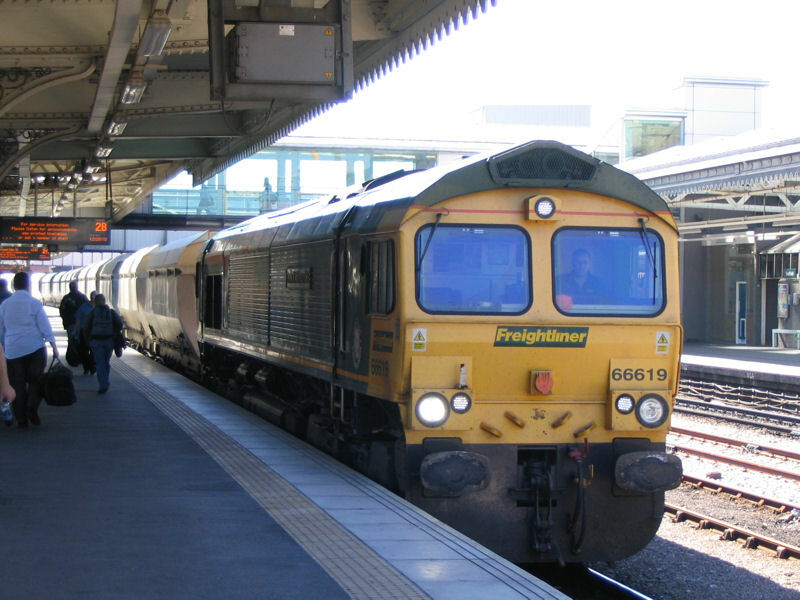 A pair of 603s - Freightliner Class 66/6 diesel locomotive 66603 and Wessex Trains Class 143 DMU 143603 meet immediately north of Bristol Temple Meads station. 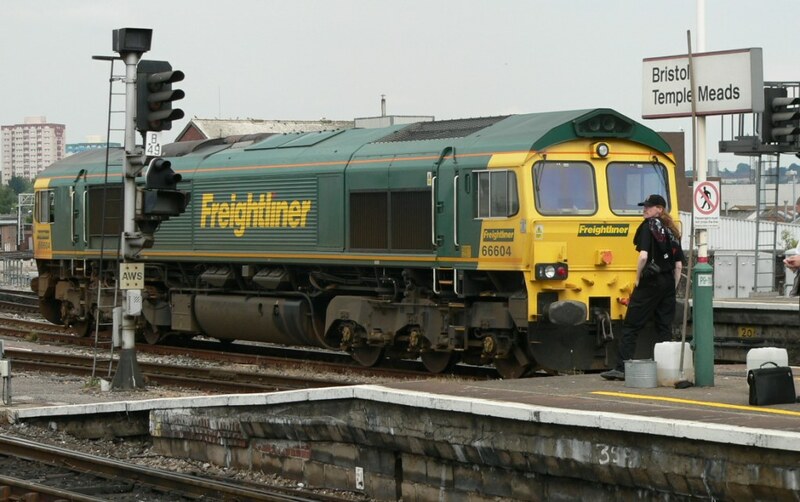 Freightliner Class 66/6 diesel locomotive 66603 carrying "The Stoneliner" headboard at Bristol Temple Meads station. 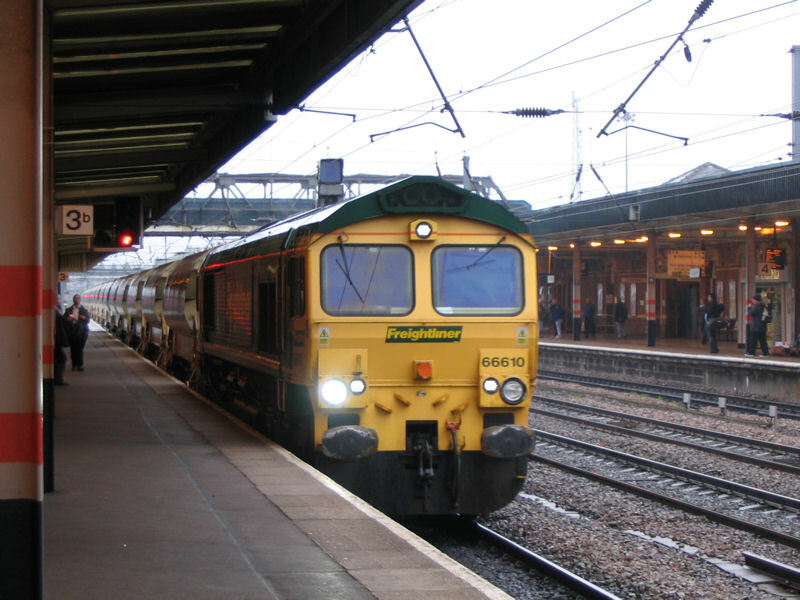 This loco had earlier hauled a ballast train through the station (while I was changing the battery on my camera unfortunately) and presumably that service is what the headboard relates to. Shortly after I took this photo it was detained at a red signal and the driver got out and removed the headboard. 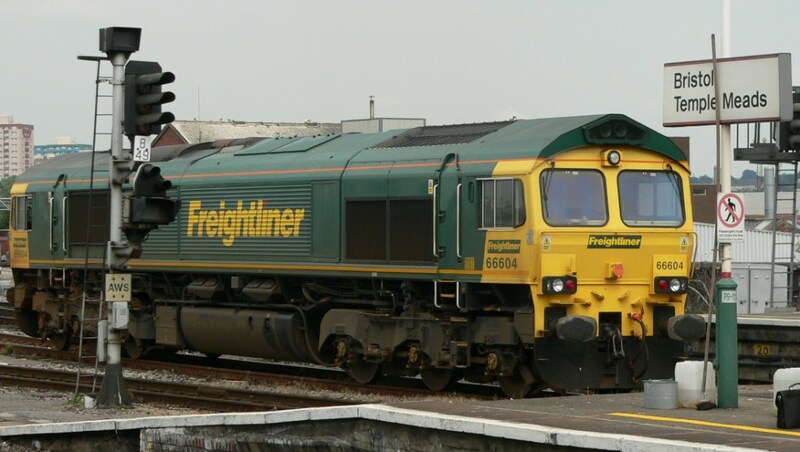 Freightliner Class 66/6 diesel locomotive 66603 at Bristol Temple Meads station after the "The Stoneliner" headboard had been removed. 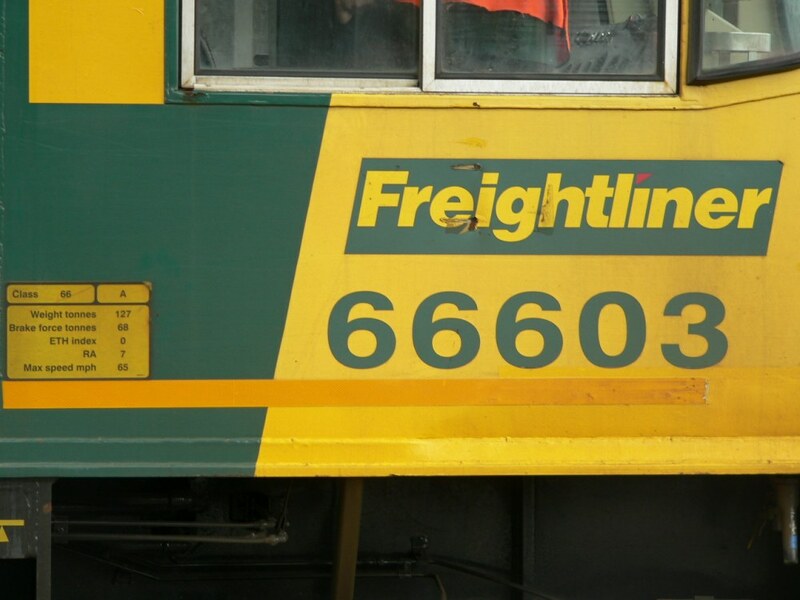 The dataplate and number on Freightliner Class 66/6 diesel locomotive 66603. 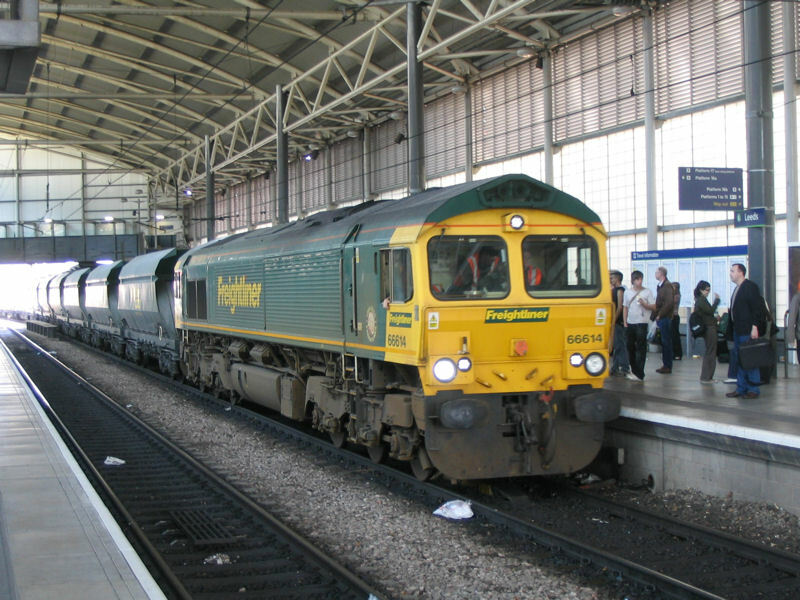 Freightliner Class 66 diesel locomotive 66604 at the northern end of Bristol Temple Meads station. Photo by Chris McKenna 09/06/2005. 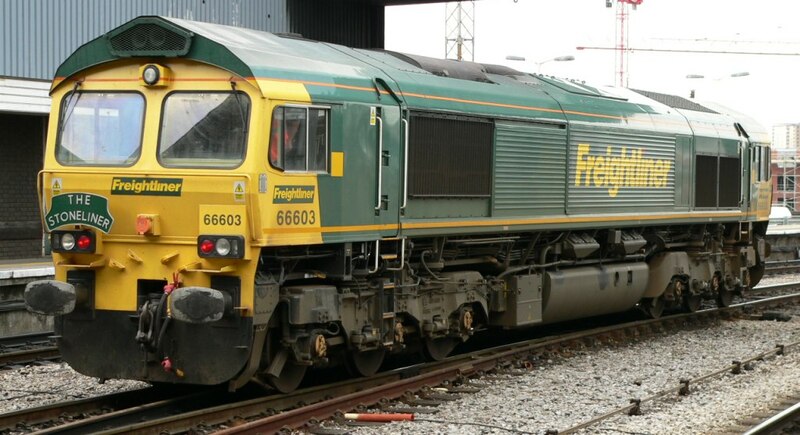 66520 and 66606 as pushed outside the General motors factory in London, Ontario (Canada). Over the next 6 weeks the engine would be shunted around the plant being completed (note it is currently minus buffers, side grills, brake gear, paint etc).